According to Bloomberg News, DirecTV is cutting the price of the out-of-market NFL Sunday Ticket package by 40% to existing customers ($200 instead of $325) and giving it away free to new customers. 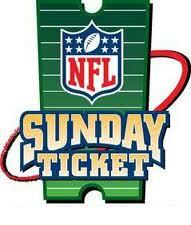 It is unlikely that DirecTV is paying for Sunday Ticket on a per-Sunday-Ticket-subscriber basis. That sort of structure would make a retail price cut extraordinarily expensive. Most likely DirecTV pays the NFL a flat fee or a share of the revenue with some aggregate minimum. Competition among distributors continues to heat up. NFL Sunday Ticket may be the only marquee exclusive service in the multichannel marketplace. DirecTV clearly sees more to gain by using it to lure or retain subscribers than to increase average revenue per unit (ARPU). Sweet introductory offers are basically a form of price discounting (in this case the sugar is added programming value rather than a per se lower price). The flashing light is the warning that distributors' margins will continue to go down. For all the discussion of the consumer appeal of a la carte, bundling is more powerful. New DirecTV customers are getting NFL Sunday Ticket as part of their bundle. Since only about 10-15% of DirecTV customers usually buy the package, that would suggest its appeal isn't that broad. Yet, here it is, front and center of a subscriber acquisition strategy. Once they do, look to see mobile added to the bundle. As for charging extra for HD, at a time when the sets are 69% penetrated to households -- that just seems odd.